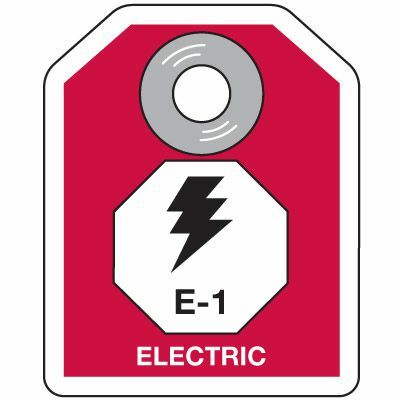 Standard lock-out and electrical tags comply with OSHA guidelines. Choose from a large selection of plastic, cardstock and Tyvek tags with various text and symbols to suit your needs. 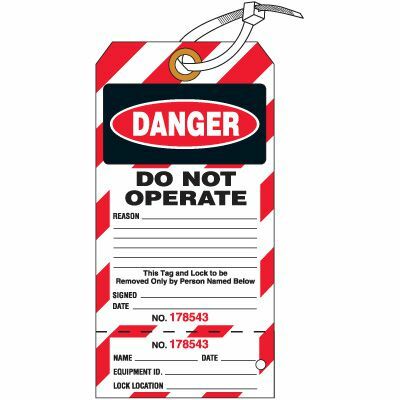 View this Compliance Guide to learn more about OSHA standards for Lockout Tags. 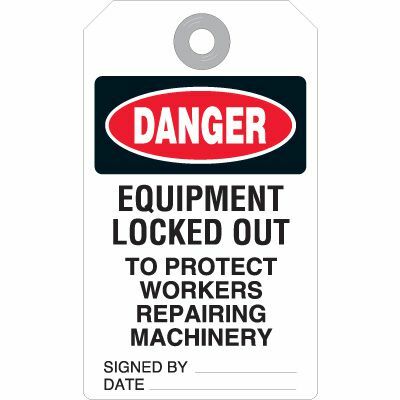 Lockout tags are an important part of your workplace lockout / tagout safety program. They let workers and visitors know that they should not open specific machinery or equipment. Our tags are made from high-quality plastic, metal, or paper. You can also find cardstock and Tyvek tags. In addition to the variety of materials available, you can also find tags with additional helpful features, including tags that show your employee's photo. For more specific needs, check out specialty tags for additional features such as perforations, side holes, and magnetic properties. Can't find exactly what you need? 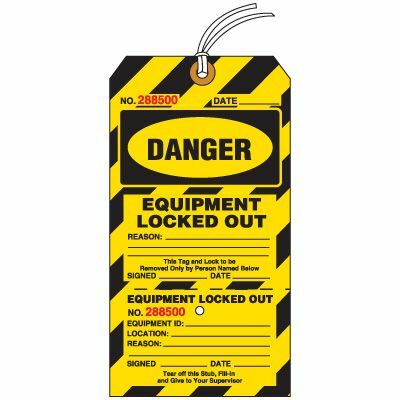 Try designing your own custom lockout tags.